Thank you for still reading my blog. I just had a chance to build a FT VM lab. I record some potential issues and how to resolve the problem. I hope it will help you to understand FT. I have following hardware as my lab equipment. 2 identical HP server. 6 Nics on the server. 1 Test VM running W2K3R2 x64bit. Test VM has 1 vCPU. All right. We all set. Let’s see what we can do. 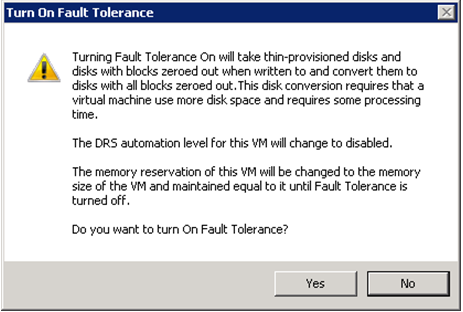 If you got all your configuration right, all what you need to do is to right click your VM and choose Turn on Fault Tolerance. However, you may got following errors. FT requires to use specific Network to make sure logs will be copied from Primary VM to Secondary VM. You need to either create a specific VMkernel or use the exist one. In my case, I use my vMotion network since I know I don’t vMotion much. The FT requires HA to be enabled. However, with my scenario, I only have 2 hosts and HA enabled. The Host failure cluster tolerate is 1 host. FT won’t accept that. The easiest way is to use percentage of resrouces and setup it as 5%. This is a test lab. The is no double I use thin disk for this test VM. so FT doesn’t work on thin disk and it has be converted to thick. Few tips for FT. FT is very powerful. 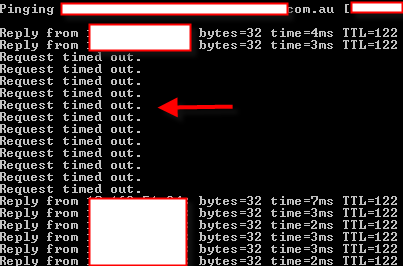 I have running ping test from test VM and power off the primary host. No ping was dropped!. 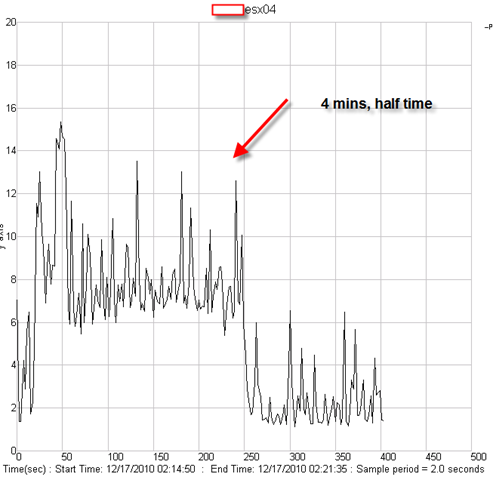 But it does generate heaps of traffic on FT log vmkernel (33MBPS). so Please be aware don’t put too much pressure on your network. As usually, I would thank you for continuing browsing my blog although I haven’t uploaded for couple of months. I was caught by my personal errands till, today, one of my friends said, “Silver, why don’t you update your blog? Even just write some nonsense into it”. Well, personally, I don’t write any useless information in this tech blog. But I do need to update. So here it is. Hope you can enjoy it. 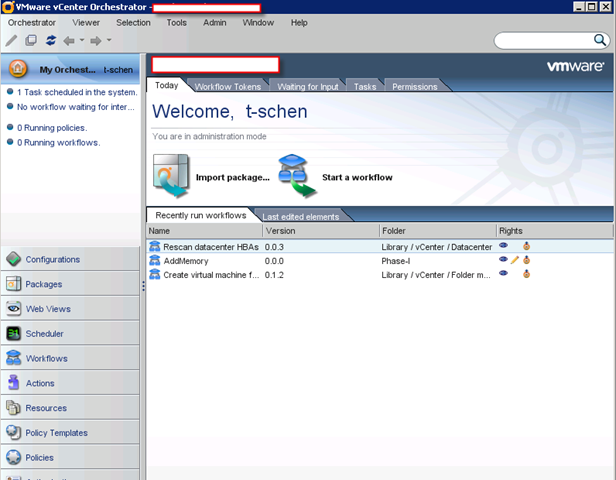 I will show you how to configure VMware Orchestrator. This software is coming with vSphere but it is installed silently and you need to manually configure it. 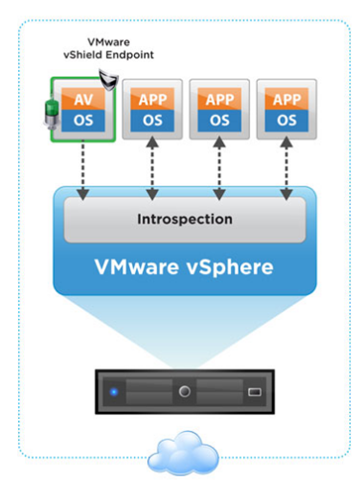 Reason to use VMware Orchestrator will be 2. A. You have very large and complex Vmware environment and you would like to dig deep and become guru. B. You need to prepare for VCAP-DCA exam. Regardless which reason you may have, this post will give you a hand and knock the door for you. 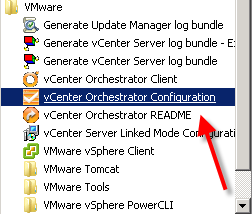 The first thing you need to do is to check out Service “VMware vCenter Orchestrator Configuration” is running. In default, it is manual for start up. You should see this page coming from IE. 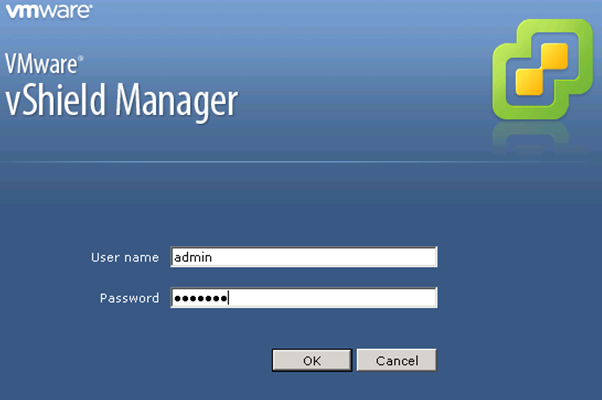 The default username and password is vmware/vmware. You should see main interface like this. There is nothing you need to configure in the General class for now. so Let’s jump on “Network”. 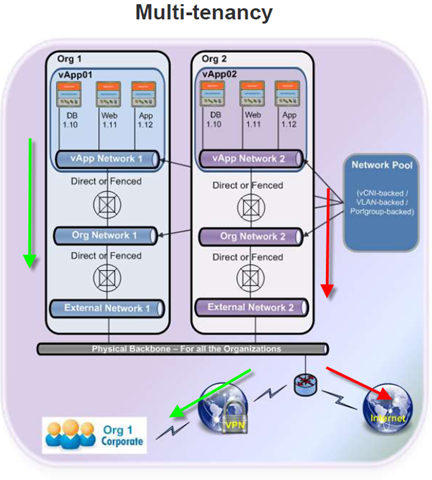 the network configuration is for Orchestrator. So You need to put IP and DNS and keep settings. No drama on that. Notice “SSL Certificate” page here, but we don’t configure it for now. You can choose to use CA certificate or your own certificate. In this case, we will generate Orchestrator own certificate first, then we can configure it. Please see Chapter “Server Certificate” below. 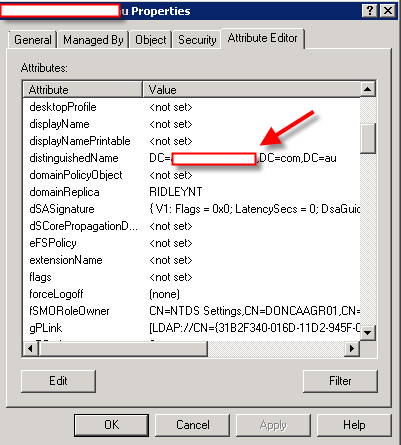 The purpose of LDAP is to let you use AD account to log in to Orchestrator client. You need fill those blank with your DC servers, and LDAP path. For the root and other group path information, you don’t need to run some scripts to get it. All what you need to do is to run AD Users and computers. Right click the object (for example, the root of your AD) and click –> “Properties” and go to Attribute Editor and find distinguishedName as follow. Same thing for the rest of page. 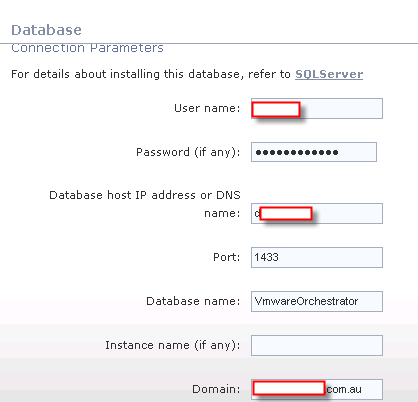 Once you install the database, jump on SQL server and verify it. You should generate your own Server certificate here. For some reason, the certificate generate by my Domain CA doesn’t work well here. so I would suggest you do it by yourself. Once you generate certificate, you need to export it to a file protected with password. The next step supposes to import certificate back to “Network –>SSL configuration”. If you don’t that, you won’t get “License” right. 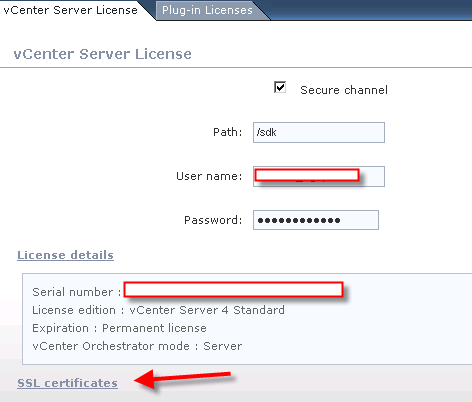 This is where you gain license from vCenter and also license for plug-ins. If you don’t import SSL certificate here, you won’t get right result. Because we need to use secure channel. You need to import your license which you export above. This will also setup Network configuration->SSL part as well. please be noticed: You may need to restart vCenter to let license work!! You must make sure the status is “Running”. I was stuck at “Unknown” status for a very long time even after I restart vCenter and Orchestrator services and server. The only way to resolve it is to click those “Restart” buttons in this page. Trust me, they are here for reasons. The rest parts are very easy to configure. I just paste picture here as guide. This is for connection to your hosts. This is where you configure your vCenter. 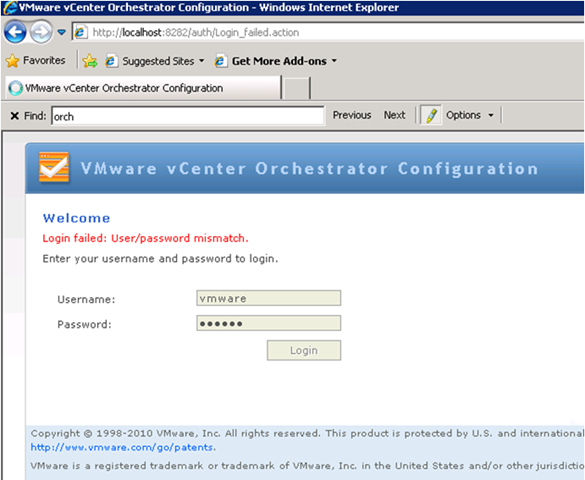 once you finished the configuration, you can get into Orchestrator now via it’s own client. Run it under Vmware you shall see this interface. There are some tricks to setup Orchestrator. But the difficult part is actually to use it since there are lack of good examples and documents. 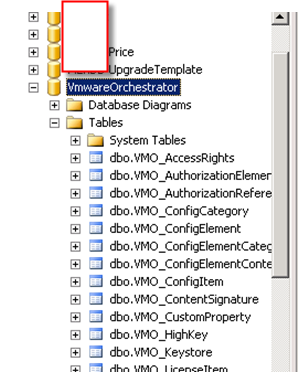 I would suggest VMworld Orchestrator Lab manual is a very good start. If you do want to know me to give you some examples, please leave your messages. 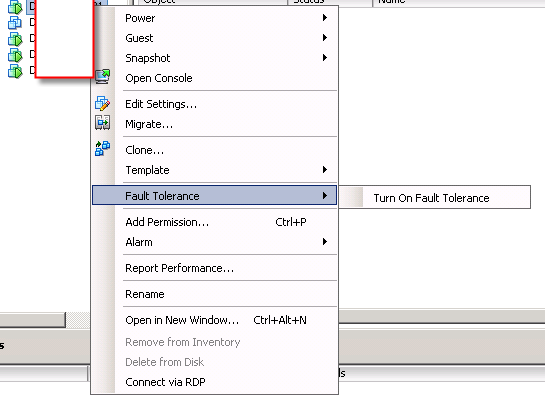 VMware vSphere vShield 1.0 design flaw with vCenter as VM? As you guys may notice, I have spent some hours on vSphere vShield product recently. I have came cross a design flaw issue I would like to discuss with you. First all, let me briefly describe my test environment. I have two physical HP boxes and a EMC SAN as my test box. In this case, I have built a vCenter as VM sitting on one of ESX host. Therefore, I can even make snapshot if I want to. However, this has been generate some issues for vShield product. 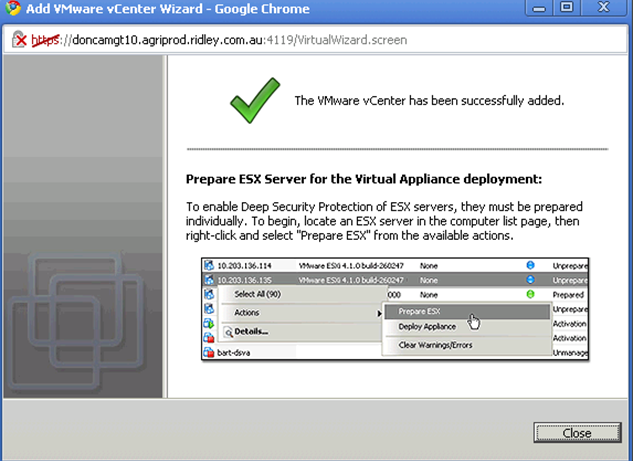 In terms of testing installing and configuring vShield product. I normally install vShield on one host and move some test VMs to new host to see how VMs respond. Then, I will vMotion vCenter VM to new host and install vShield on the second host since some of vShield components requires reboot host. I have done that couple of times. Eventually, it happened. 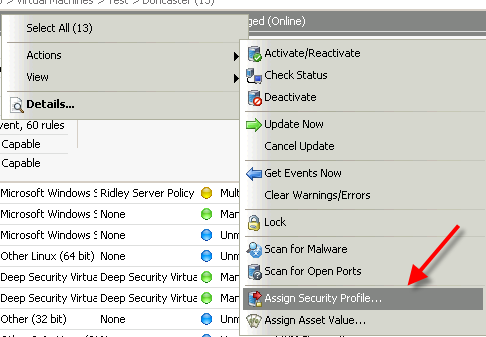 I initialled vMotion from a host which has zone, firewall, vApp to a host which doesn’t have those settings. vCenter got frozen. I was waiting for couple of minutes but I was still not able to connect to vCenter. Not even pingable. so I jump on new host with directly vClient and I found vCenter is up running in the new host. But it’s not pingable. 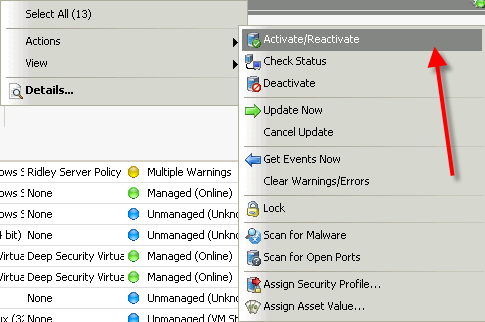 Other VMs sitting in the same vSwitch are not having issues at all. I vMotioned vCenter before I install vShield without any issues. Why I can’t connect to vCenter VM this time? The reason is simple. It’s caused by vShield Zone and other components. Let’s take a look to see what happens when I vMotion a normal VM to a host installed with vShield. Migrate a new VM into new host. 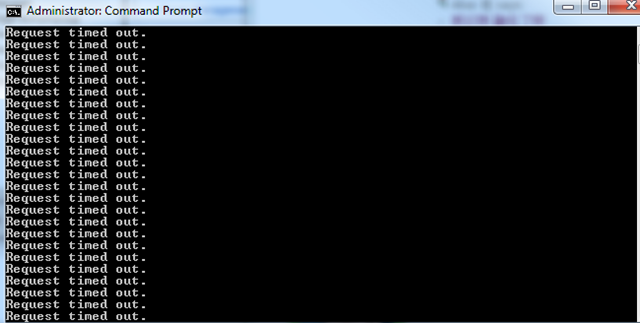 However, as you can see from the picture, it actually reconfigured the VM afterwards. And if you monitor vMotion ping status, the ping drop during vMotion from 1 time out become 10 times out depends on how you configure vShield. so what exactly this reconfiguration step do? The answer is that virtual machine vmx file has been reconfigured with vShield information. 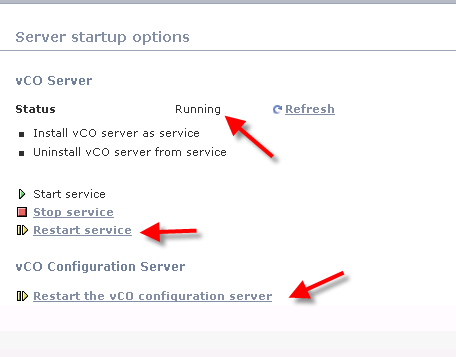 The more important thing is this step is done by vCenter!! With a host installed with vShield products(like Zone), any VMs vMotion into that host will automatically configured with vZone. If vZone information is not configured, the VM will not able to communicate with other VM even if VMs in the same vSwitch because it’s caused at vNic leve. Just imagine what happened if you try to vMotion a vCenter? No one is going to modify vCenter VM since it’s temporary disconnect from network!! I think this is a design flaw since use VM as vCenter is an option provided by VMware. What I did was to use putty to connect to ESX host and manually modify vmx file of vCenter VM. This is what old vmx looks like. This host has all vShield parts. We need to remove filter0.name and param1 and add vEndpoint to match whatever new host got. The result is following. 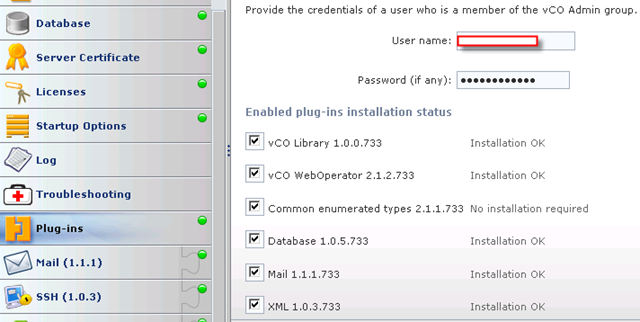 After modification, the vCenter is able to start and connect to network. vShield is still a new product. VMware needs to resolve issues when vCenter in VM mode and let host , instead of vCenter, to reconfigure vmx files everytime a new VM vmotion into host or register a new VM. Plus, the reconfiguration takes too long to finish. For important time sensitive machine, 10 time out may not be acceptable. In my previous post, I described about vShield Endpoint. In this post, I will talk about the only real product which is actually using and design with this concept. 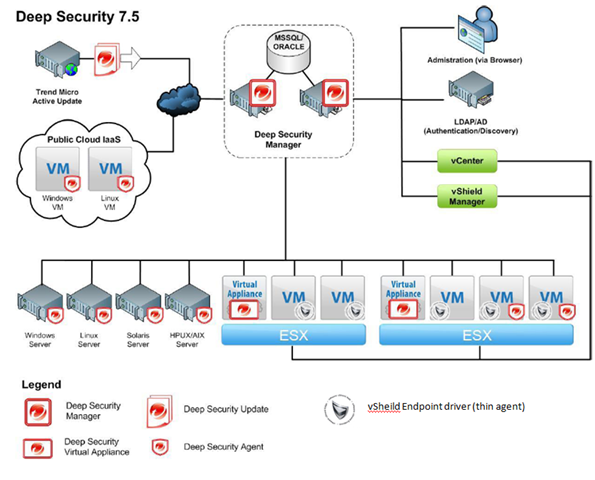 Trend Micro Deep Security 7.5. Before I started to roll out details, I would like to thank Trend Micro Australia’s help to give me support when I stuck. Thanks guys. 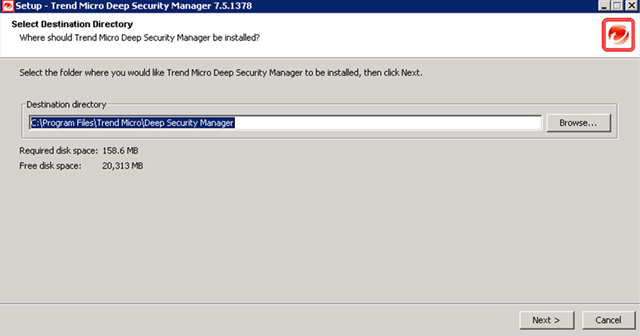 What can Trend Micro Deep Security 7.5 do? First time I saw this product is on the Vmware seminar. When Trend Micro representative standing on the stage and demonstrate how Deep Security can use only 20% of resource to scan in the virtualization environment. That was mind blowing because imaging VDI and VMs are calling for schedule scan at same time. How much pressure it will cost to ESX Host? This product is only working with vSphere 4.1. It’s using vShield Endpoint and must use vShield point to do it’s job. Well, at least, that’s what Trend Micro claimed. So is this true? Please continue to read. Note: DS 7.5 is actually merely designed for VM environment. It means it’s not a complete solution at this stage. If you want to protect your physical boxes or workstation, you better still use OfficeScan product. The interesting about DS 7.5 and vShield Endpoint is that none of this product can provide complete solution for end users. Each of them play a certain roles in the system. So the result is actually combination of both software. Let’s take a look with clear table. My suggestion for installing is to install both vShield Endpoint Agent and DS Agent on your VMs. That’s the only way you can protect your VMs. 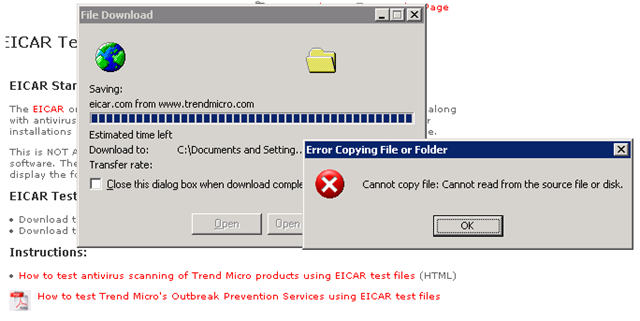 As matter of fact, you need to download following files from Trend Micro website. 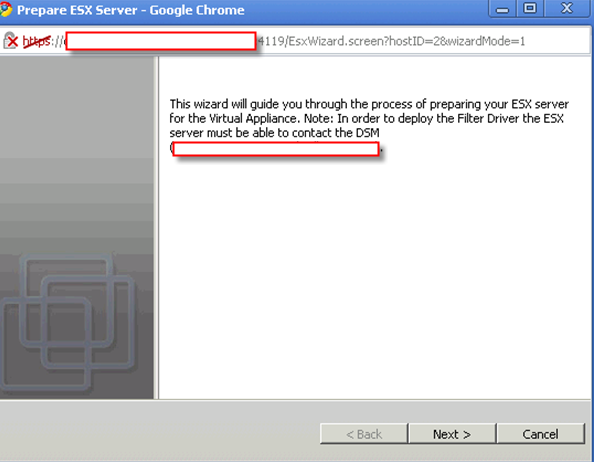 Don’t forget to download filter-driver which will be pushed from DS Manager to each ESX host. There should be only have one DS manager unless you want to have redundancy. 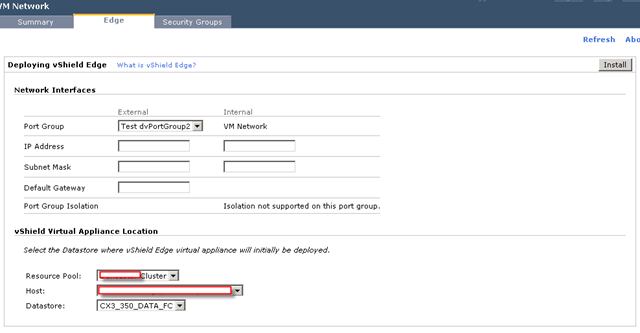 ESX Host must be installed with vShield Endpoint. 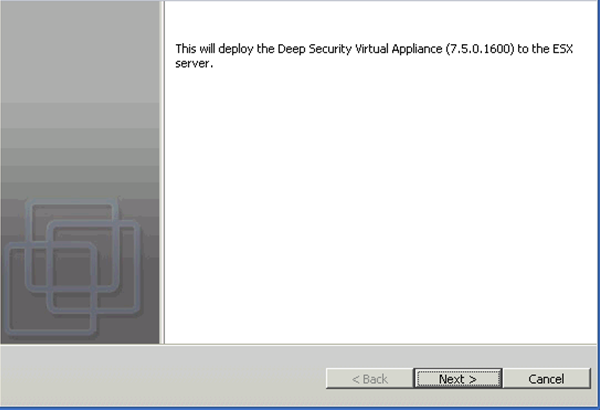 Each ESX has it’s own Virtual appliance. Each VM should have both vShield Endpoint and DS Agent installed. How does Deep Security 7.5 work? 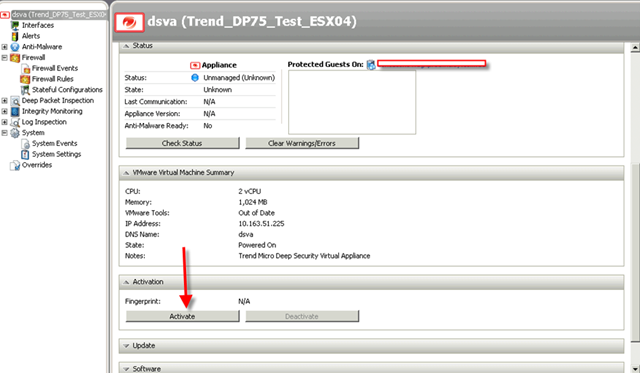 DS is using vShield Endpoint to monitor protected VM memory. The vSheild Endpoint Agent (or AKA vShield Endpoint thin driver) will open a special channel to allow DS virtual appliance to scan it’s memory via special vSwitch which is running on ESX kernel driver layer. Since VMware needs to make sure the isolation of VMs traffic and memory, hard disk and no other application should breach this protection, vShield Endpoint is a back door opened by VMware to let third party to scan VM content legally and logically. For registry keys and logs and other components of VM, we have to relay on DS Agent because vShield Endpoint can allow do so much. That’s why the solution must combine both vShield Endpint and DS agent. I did encounter some interesting errors during the installation. But let’s sort out the steps of installation first. 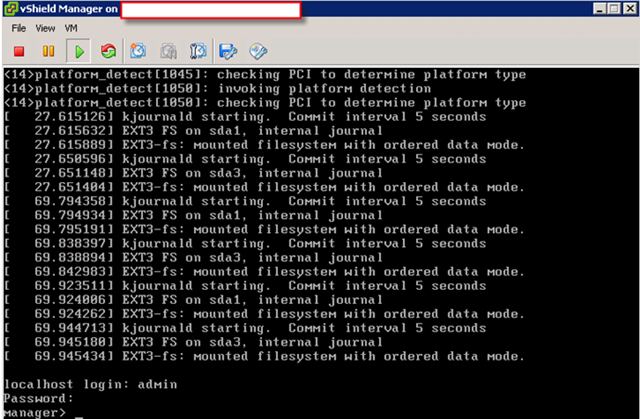 Install Endpoint on your VMware ESXs. hostInstall DS manager on one of your windows box. 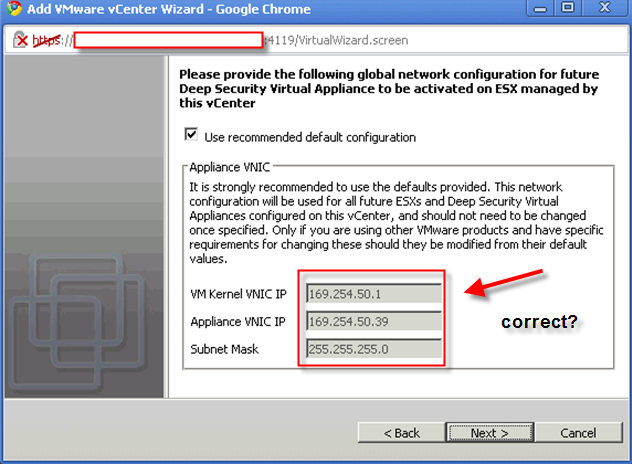 Push Virtual Appliance, filter driver to each ESX host. It will add a appliance into vShield protected vSwitch. Filter driver will be loaded in the ESX kernel. Install DS agent, vShield Point Agent on VMs you want to protect. Please click here to see how to do it. Those are easy step. I believe any admin can do his job well. Let’s me skip some easy parts. Once you finish installation of DS Manager. You need to configure the DS Manager. This is really tricky part. What are those IP for? 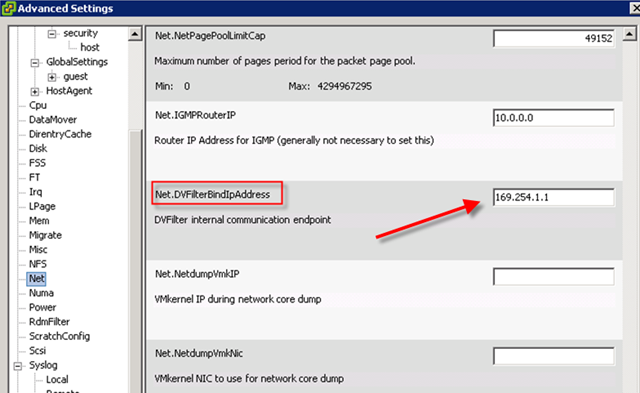 The answer is those IP must not be occupied and it must be in the same subnet as rest of your vShield components are. Check out this diagram and find out your own vShield subnet. On your ESX host(which has Endpoint installed already), you should find this. so what’s your vSheild Subnet? 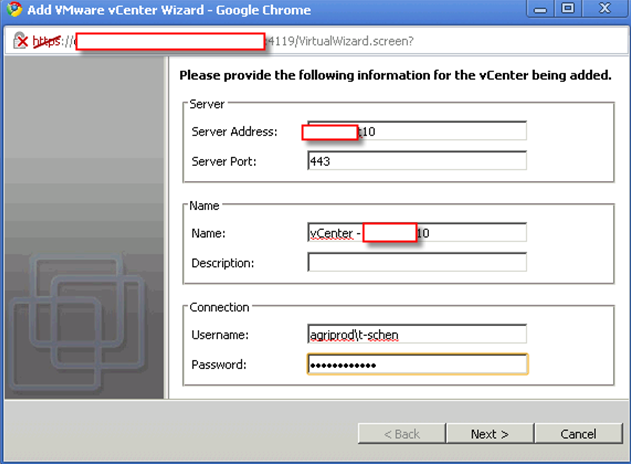 By now, you have already connect to vCenter and vShield Manager. You suppose to see something like that. Notice nothing is actually managed and ready. That’s because you need to “Prepare ESX”. Before you “Prepare ESX”, you need to make sure vShield Endpoint has already installed and you have already download all DS components. 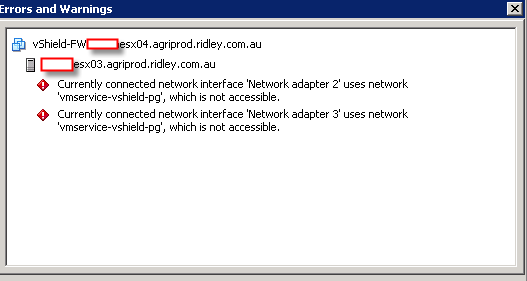 If you didn’t setup your vShield subnet correct, you will run into this error. 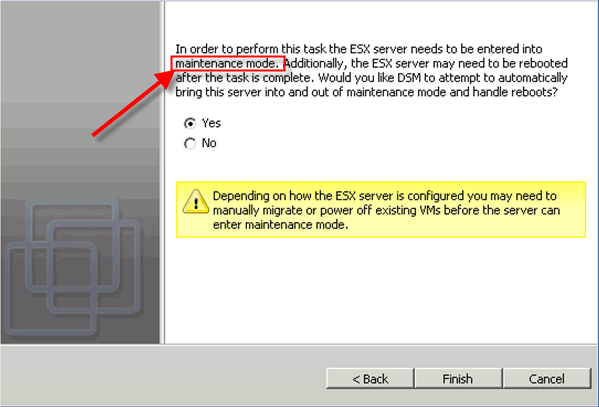 please be aware you need to put your ESX into maintenance mode and restart it in terms of pushing DS virtual appliance and filter driver. You need to import your downloaded files into DS Manager. If you didn’t import before, you will have chance to import again or download. As usually, I skip some steps. Here is another tricky. Because my ESX has different default IP as DS default. so once the DS Manager deploy the virtual appliance to ESX, the appliance only has default DHCP IP which is wrong in my case also the virtual network is also wrong. I encounter this problem. 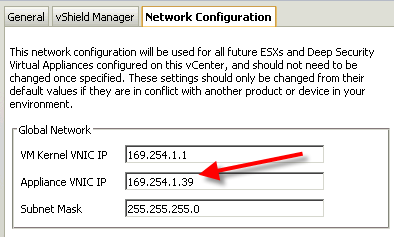 All what you need to do is to jump on ESX and virtual appliance console to change IP of that appliance. The default username and password is dsva. Once you changed the IP, reboot this VM. Go back to DS Manager and double click dsva object to activate it. Make sure the security profile is loaded. That’s very important!! System will automatically offer you some VMs to protect. You can choose “no” at this stage. Why? because you haven’t installed vShield Endpoint agent and DS agent on your VMs yet. By now, the installation steps have finished here. 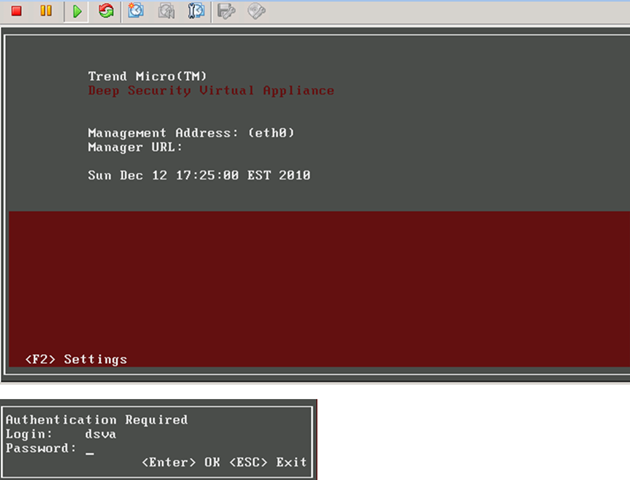 In my next post, I will talk about how to configure Trend Micro Deep Security 7.5 and performance result comparing with OfficeScan and virus testing. Let me show you a picture what a DS manager look like when a VM is fully protected to finish this post. This is going to be a long post regarding vShield Endpoint and Trend Micro Deep Security 7.5. In this post, I will go through What is Endpoint, DP 7.5. How to install and basic configuration. How system work and performance comparison between two Trend products. 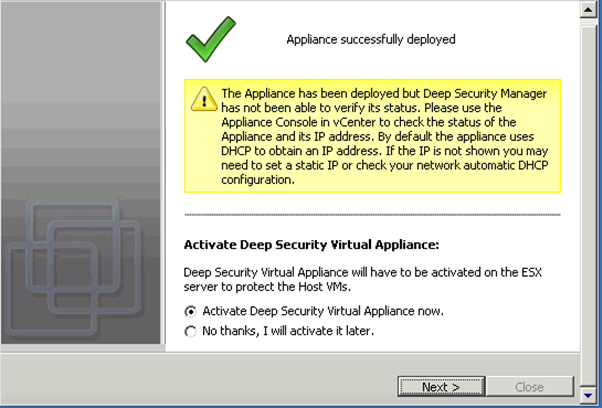 Deep Security and OfficeScan. In my past posts, I have describe what vShield is and different modules of vShield. You can find my previous post from here. Let’s take a look what vShield is. Strengthen security for virtual machines and their hosts while improving performance by orders of magnitude for endpoint protection, with VMware vShield Endpoint, part of the VMware vShield family. Offload antivirus and anti-malware processing to dedicated security-hardened virtual machines delivered by VMware partners. Leverage existing investments and manage antivirus and anti-malware policies for virtualized environments with the same management interfaces as physical environments. This is what you can read from vmware.com. But what vShield Endpoint real does is a set of common interface or opening window to let third Party Anti-virus virtual appliance to scan/query memory of ESX host. If you do remember what Vmware said about memory of each individual VM is secured separated for each VM. Well, vShield Endpoint is a back door to allow certain VM (like virtual appliance) to access all VMs memory at same time. As we all know, all information has to go through memory. Regardless it is opening ports or data saved on the virtual harddisk. However, it ain’t entire solution. As matter of fact, it can only do part of solutions. It can open window to AV appliance to scan memory, use firewall rule to deny unwanted access but it doesn’t understand registry key and logic structure of your servers. How does vShield Endpoint work? The endpoint doesn’t have it’s own VM in the system unlike vApp and Edge. 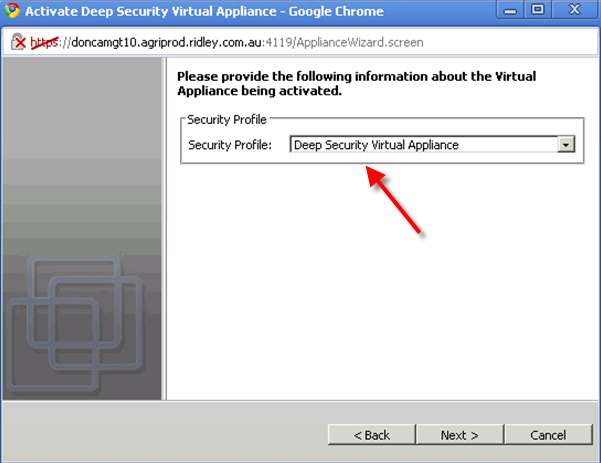 Well, in fact it does require a virtual appliance but it’s provided by third party. Endpoint will install a special module in your ESX. This module will read data from protected VM and handled it to third party appliance to check virus/malware. This third party will sit in a secured vSwitch which will only be accessed by special module in ESX host. From protected VM angle, CPU usage is very low and memory utilization is low as well. The resource consumption has been transferred and reduced to AV appliance. But it doesn’t mean Hard disk are not used. We will discuss it in performance section. What you need to do is to enable Endpoint on your host. Install Endpoint driver (or thin agent) on VMs you want to protect. Then, install third party appliance and everything will be fine. 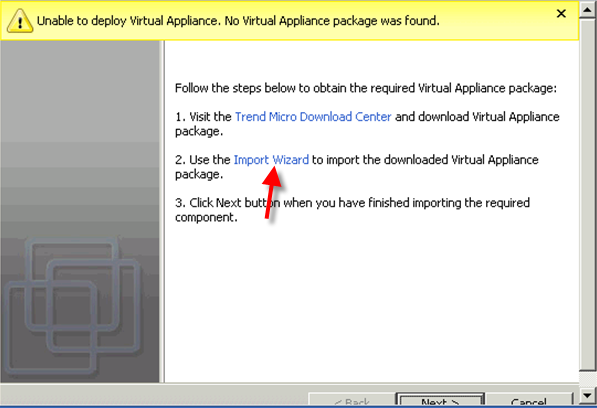 How to install vShield Endpoint? This procedure is similar as vEdge and vApp. Once you have install everything including Endpoint, and thirdparty of Antivirus. You will see something like this. Well, for more details, please wait for second post. 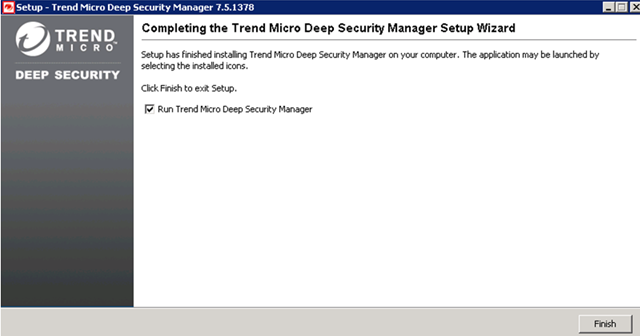 I will review Trend Micro Deep Security 7.5 and how to install, configure. First of all, I would like to apologize for updating my blog late since I was called away last week and not able to do too much. I’m going to talk about vShield Edge and vApp. First of all, let’s review why we need vShield Edge. The last post can be found here. Consolidate edge security hardware: Provision edge security services, including firewall and VPN, using existing vSphere resources, eliminating the need for hardware-based solutions. Ensure performance and availability of web services: Efficiently manage inbound web traffic across virtual machine clusters with web load balancing capabilities. Accelerate IT compliance: Get increased visibility and control over security at the network edge, with the logging and auditing controls you need to demonstrate compliance with internal policies and external regulatory requirements. Why do we need vEdge? VMware is trying to design cloud system which can be used by ISP to host multiple Enterprise clouds on one datacenter. VMware needs a cheap and efficient way to manage internal network to make sure the data between different clouds can be isolated from different network level but also be connected with well control. vEdge is used to allow you to isolate different cloud with NAT, load balance, DHCP and VPN. Here is a good example for NAT using. 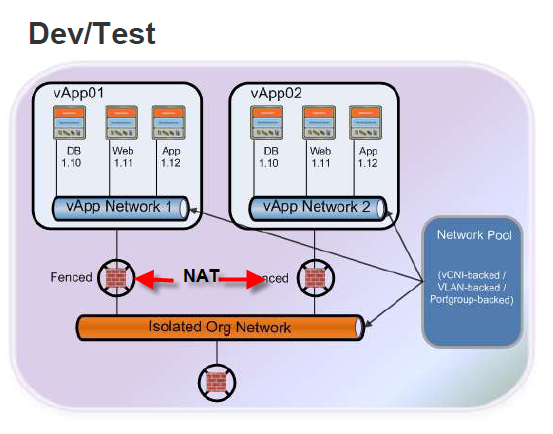 There are two Test environment coexists in the same network because NAT function vEdge provides. With vEdge, you can separate your Network tenancy into different connections without security breach or other threat. Installing vEdge is required to install license first. It’s the same location as you will do for others. 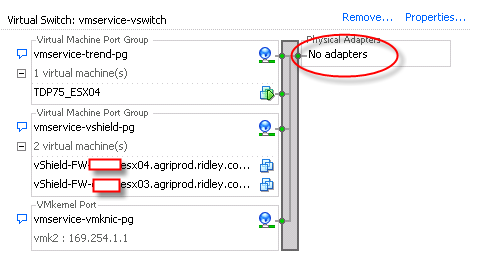 The next step is to choose which vSwitch (vSS or vDS) you want to deploy vEdge. Not like Zone which can be installed on vNic level, vEdge can be only setup on PortGroup. All what you need to do is to choose a portgroup and click Edge menu on the right hand and provide information for vEdge VM and click to install. 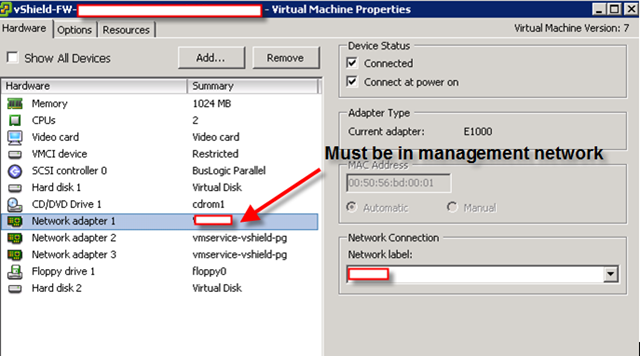 Since vShield zone is base on Network crossing host, only one VM will be created and deployed by vShield Manager. 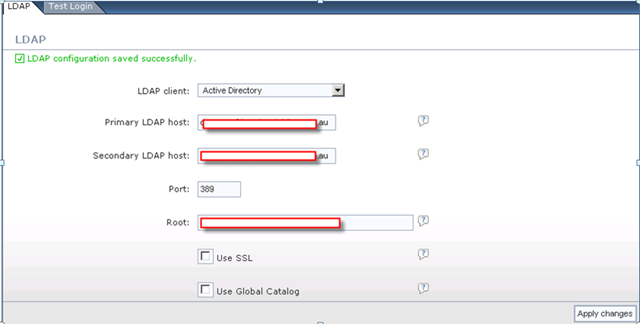 vSheild-Edge-DvPorgGroup can be migrated to other Host without any issues. There is option when you install vEdge on Portgroup. It’s called Port Group Isolation. 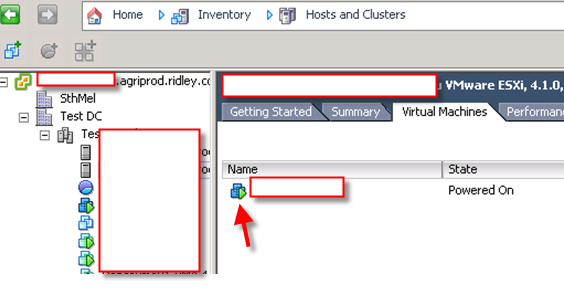 You can prepare and install a port group isolation on vDS. It is an option for vEdge and it only works for vDS based vShield Edge. The port group Isolation creates a barrier between the protected VM and external network. 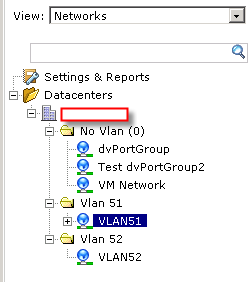 Only NAT nuels or VLAN tags are configured. At same time, a new vShield-PGI-dvSwitch will be created to handle traffic control. Each port group isolation will create a new VM. Everyone configures it differently. Please check out screen shots. Load Balancer is only for HTTP protocol at this stage. It’s designed for front web servers. At this day, vEdge can handdle 40,000 concurrent sessions. You can make rules in the different layer, but new rules don’t apply to established sessions unless you manually apply it. You can always create security groups as logical unit to manage your rules. There is no package capture functions in vShield. 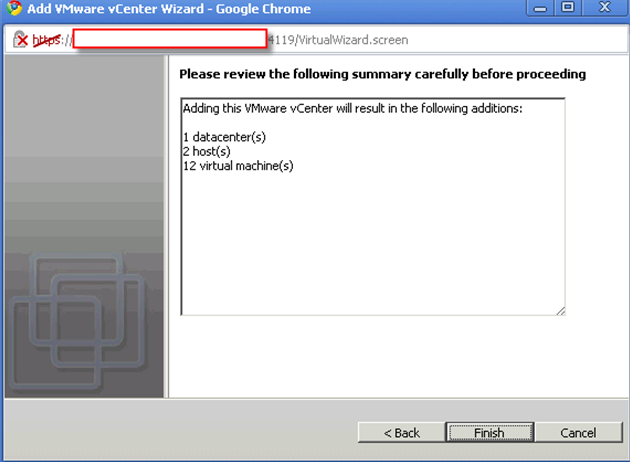 vEdge license can be included in Vmware View premium version. vZone license can be included in vSphere Advanced. vApp license can be included in vCloud director. We will talk about vApp in next post. This is second part of vShield. 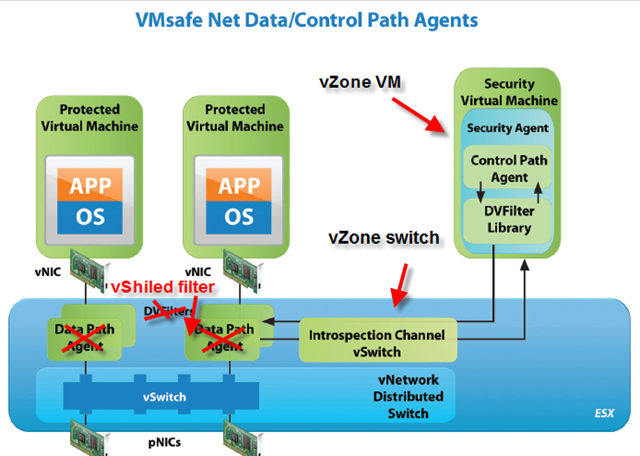 We will spend some time on vShield zone about Installation and configuration, of course, understanding as well. 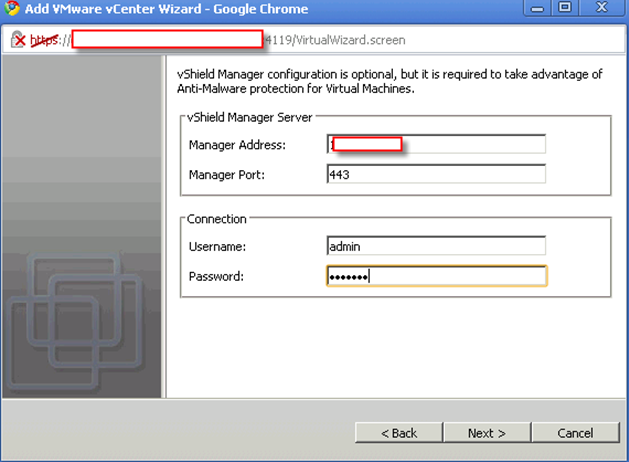 Like what I have mentioned in the last post, vShield control module is vShield manager. And vShield Zone is it’s back bone which provides platform all other applications can run on it. 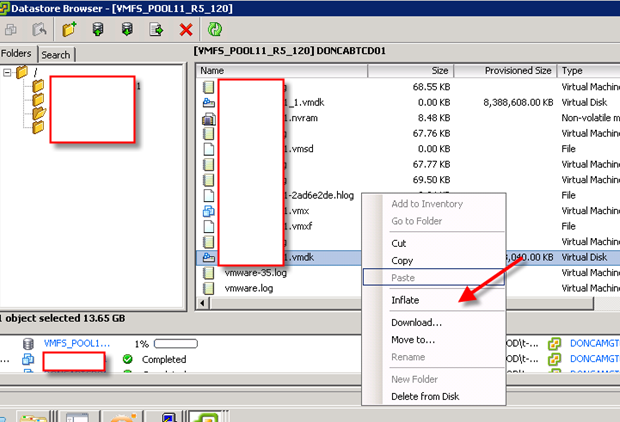 You can download evaluation version of vShield from Vmware as ova format. It’s a 500MB ova file and use vClient to deploy this ova into your vmware environment. You don’t need to worry about this vManager too much as it can be freely vMotion to any hosts in your cluster. Once you imported the ova, you can file it up and use username “admin” and password as “default” to log in. 2. Configure IP and gateway. You should be able to ping vManager. After giving information to vManager, you should be able to see a new tab on vClient. By now, vSheild Manager has been installed. But vZone or any other real vShield components haven’t been installed on any hosts. What you have done is merely a frame. You can choose to configure all other aspects if you want. The next step is to install vShield Zone. vShield Zone is vShield App basic version. It shares same theory as vApp. When you deploy vShield Zone from vManager, vManager will ask you to provide which host you want to install and a new set of IP for vShield Zone VM. Each host will be bond with a new Linux VM and that VM will be fixed on that host and can’t be vMotion to other host since this VM will talk directly to a special module running in that host as same method of vSwitch. In other word, that new VM will in charge all filtering jobs specific targeting on one host. 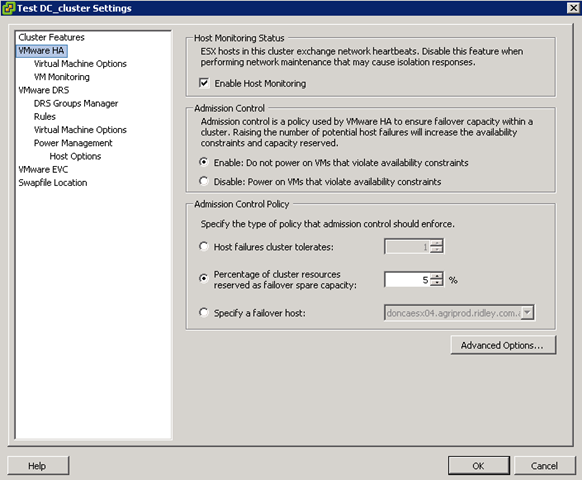 Notice: if you are running cluster, vShield Zone will only protect VMs running on host which as vZone installed. For example, you have host A, B. VM C,D. VM C running on host A and VM D running on host B. If you install vZone on Host B. 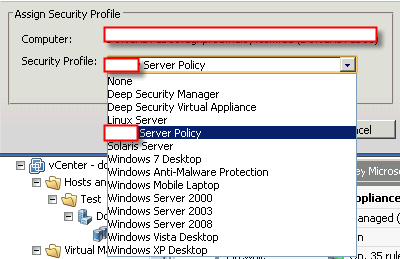 Only VM D will be effected by vZone setting. If you vMotion VM C from host A to B, then, VM C will be effected too. However, if you are running a cluster (Host A, B), then by installing vZone on Host B won’t protect any VM until you install vZone on all Hosts in the cluster. Apart from deploying a new VM, there are other couple of things this installing script has done. Install a new module in the host. Let’s see a diagram and understand how it works at logic level. All network traffic can be considered with a special detour before they reach to VM. In the host level, we can use VMSafe diagram to understand since they share similar structure. It’s similar as VMsafe Net but it use it’s own filter (vShiled-dvfilter). vZone management is very similar as ISA. It has divided into multiple levels. 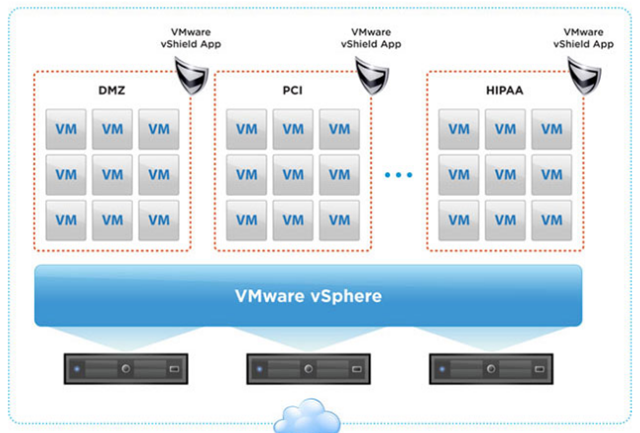 Each vShield Zones instance enforces Zones Firewall rules in top-to-bottom ordering. A vShield Zones instance checks each traffic session against the top rule in the Zones Firewall table before moving down thesubsequent rules in the table. The first rule in the table that matches the traffic parameters is enforced. 1. Make sure vManager, vZone VM are all pingable to each other. 2. If you are using cluster, make sure all hosts are installed vZone. 3. If you try to uninstall vZone, a restart of host is involved!! 4. No restart involved when you install vZone on host. 5. vZone VM can’t be montioned. 6. How much overhead will be consumed by vShield in prod is unknown. 7. How much impact on network traffic by vShield is unknown. Why do we need vShield? 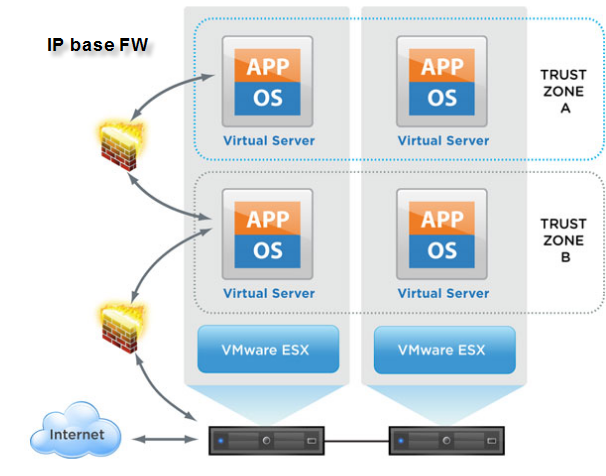 Before we start to explain how and what, we need to understand why VMWARE makes this product. It’s all about vCloud. 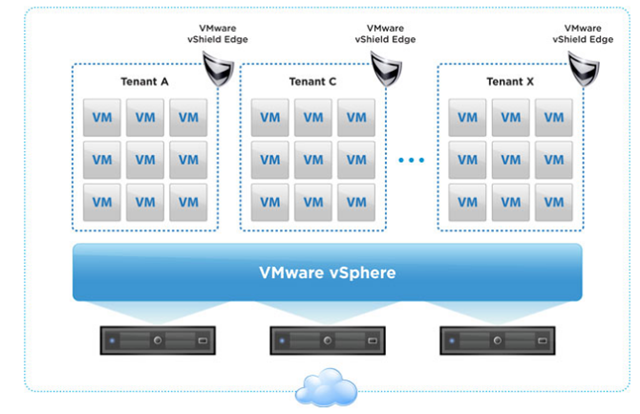 Vmware ambition is focusing holding multiple company infrastructures into a virtual Datacenter. 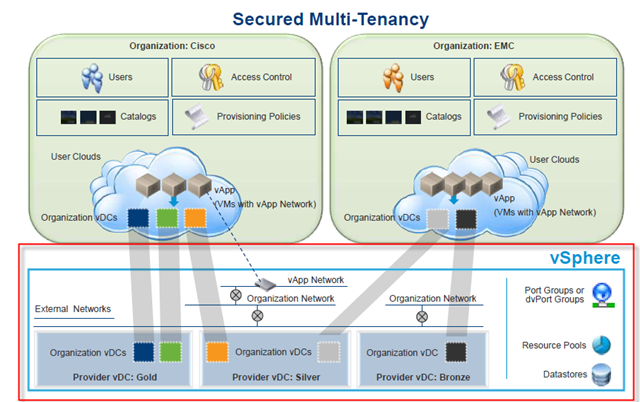 In other word, a vDC needs to hold up different companies private clouds and hybrid clouds. Hence, Vmware need a product to isolate vClouds and acting as either internal firewall(isolation) and gateway between datacenter and Enterprise private cloud. Plus with a neutral anti-virus system which will scan the VMs without causing any performance and confidential information leaking issues. Hence that’s why vShield is a must have software with vCloud Director. VMvShield has different parts for different reasons. Let’s take a look. At first glance, vEdge, vZone,vApp, vEndpoint and even manager are look so similar. That’s where you start to get headache. The strategy of Vmware is clear. VMware give you different appliance (ova file) and you install them into your vmware platform and running them as just normal Linux VMs. Each linux VM will start to install components into ESX hosts and change vm configuration file in terms of let module running on host work or effect. Why do I introduce this part first? Because this part is back bone of whole vShield products. 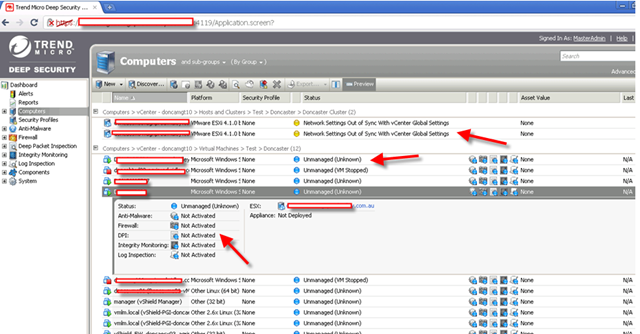 It installed a new tab into your vSphere Client and allow you to manage entire vShield family. It’s base on linux and support SSH, WEB console, vSphere Client and REST API, most of importantly, it generate other components of vShield to install. If you got on VMware website, you can download this ova file. This Open Virtualization Archive (OVA) file includes vShield Manager, vShield Edge, vShield App and vShield Endpoint. vShield App, Endpoint, and Edge components are managed by vShield Manager. The minimum requirement for vShield products are vSphere 4.0 U1 (Essentials Plus and above), vCenter 4.0 and vSphere Client 4.1. Only vShield Endpoint requires vSphere 4.1. Please be aware: vSphere Manager VM is vMotionable. This is basic firewall product and vShield App is upgrade version of Zones. The vSheild Manage will generate a customized ova file (according to your answers on the wizard) and install it on host you want vZones on. Each It is loaded to each ESX/ESXi host as part of kernal module and it create its own vSwitch to filter the traffic. Please be aware each Host will have it’s own Linux vm running as VMware Zone VM and it can’t be vMotioned! You may have to manually power off if you want to enter maintenance mode. Notice: As you see from the picture, each host will have their own vZone VM. Error I got when I tried to vMotion vZone VM. Get basic firewalling of traffic between virtual machines with vShield Zones, allowing for connections to be filtered and grouped based on the 5-tuple – source IP address, destination IP address, source port, destination port, protocol. Depending on how services are virtualized, this may be sufficient for security policies that do not require much granularity. Here it is. The advanced version of firewall for internal protection purpose. It’s not only do what vZone does, it can understand traffic at application level. Because vShield is working on logic concept to group VMs. Therefore, you can group VMs by function, department or organizational need instead of just IP or VLAN which is the part vShield try to avoid to use. In the traditional infrastructure, Internal firewall can’t only use VLAN to isolate VMs in the cluster. Now, you have much more options and power. This is purely design for vDC to holding different private clouds in their platform. If we consider vSheild app is for internal Firewall, then vEdge is for external firewall. Get essential security capabilities including port group isolation, network security gateway services and web load balancing for performance and availability. 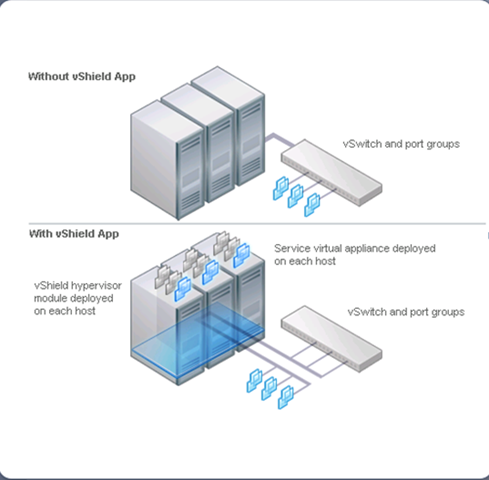 vShield Edge is deployed as a virtual appliance to provide firewall,VPN, Web load balancer, NAT, and DHCP services. Eliminate the need for VLANs by creating a barrier between the virtual machines protected by vShield Edge and the external network for port group isolation. This is Vmware cloud base anti-virus solution. It’s designed for Cloud base and VDI base. There are lots of details and pictures I would like to show you. But let’s just take a brief concept first. What it can do. Offload key antivirus and anti-malware functions to a hardened, tamperproof security virtual machine, eliminating agent footprint. The robust and secure hypervisor introspection capabilities in vSphere prevent compromise of the antivirus and anti-malware service. 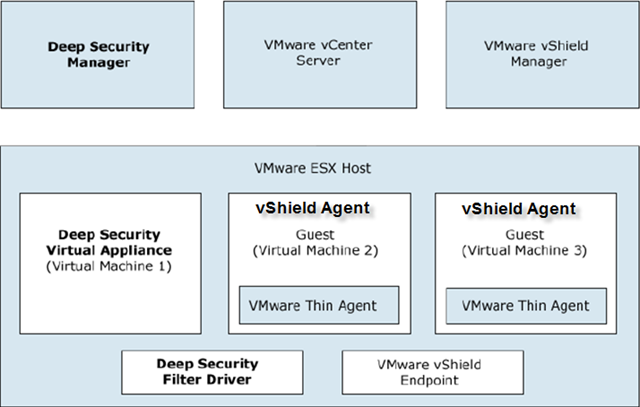 vShield Endpoint plugs directly into vSphere and consists of hardened security virtual machine (delivered by VMware partners), a driver for virtual machines to offload file events, and the VMware Endpoint security (EPSEC) loadable kernel module (LKM) to link the first two components at the hypervisor layer. Like what I mentioned from beginning, it’s big topic. In the next post, I will break down vShield into small piece. Let’s see how it goes. This is always interesting topic about using 1 core in VM most likely get better performance comparing with using 4 cores, not mention 8 cores. However, there are cases you want to use 8 cores vCPUs. I have recently experienced this real case and I would like to share it to you. Why do we need to have multiple cores in VM? Well, first of all, let me introduce our environment to you. 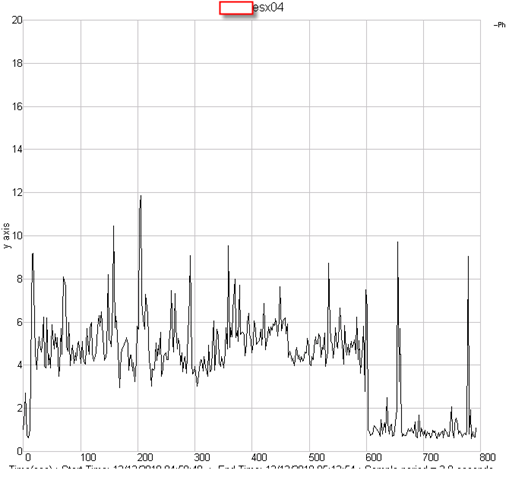 We are using Dynamics AX 2009 and recently are conducting MRP model Test. MRP model requires to run batch jobs which could take up to 7 hours to finish on single core VM. 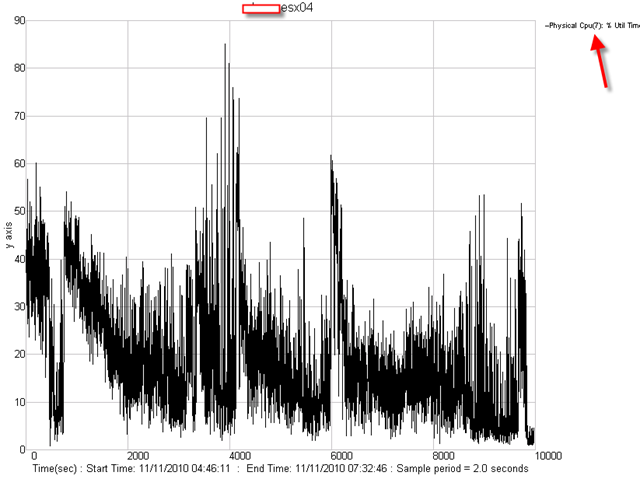 The database of Dynamics AX 2009 is on our SQL box but , with batch job, most of them are CPU work and it runs on a VM. 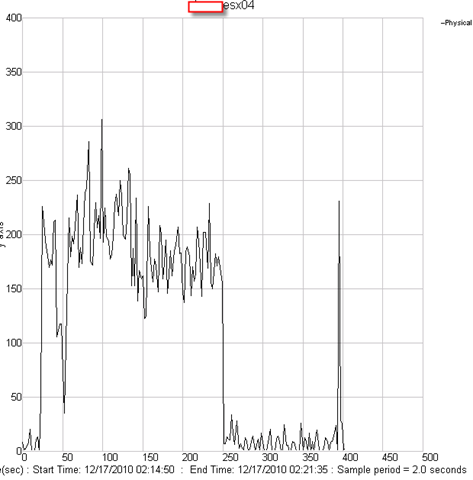 As what I mentioned above, with single core (Dynamics AX 2009 MRP natively only run one thread even on multiple cores machine), the time of finishing batch job is unacceptable in real world. Therefore, Microsoft develops “helper” to assist. Each helper suppose to represent a core. It means, if I run batch job on 4 core VM, I need to setup 3 helpers (plus original one thread to make it 4). There is only one VM running on that ESX Host. ESX Host hardware: HP Proliant DL380 G5, 2 Quad Core X5460, 16GB mem. This is a Test running without any helpers and distributions. 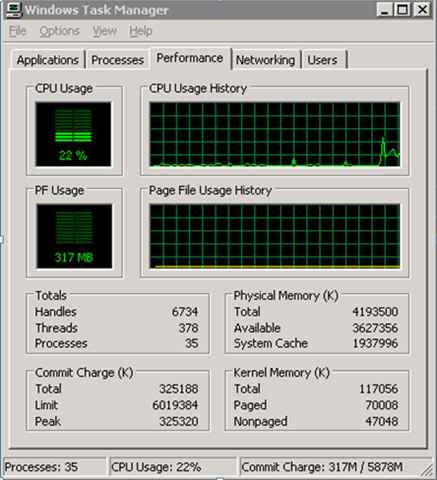 It means batch server is running single thread on 4 cores VM. Distribution is number of job list. In theory, number of distribution should equal number of cores. From this picture, you can see only one core has been used. It’s about 38% utlization. This is result I got from esxtop. This is total CPU loader status. Since we are using VM, so single virtual core job is distributed to 8 physical cores. It runs about 13% of physical CPU resources. This is utilization of pCPU which include pCPU over head. Notice we are using much less time in this test!! The new test is only using 79% time of single thread. This is 4 cores VM. Notice the blue core utilization is very low. It’s possible that windows reserve one core for it’s OS. All cores were utilized very low! However, as what I said, the helpers are very new for MRP. So it’s very poor coded. Let’s see what each vCPU has done during the time. 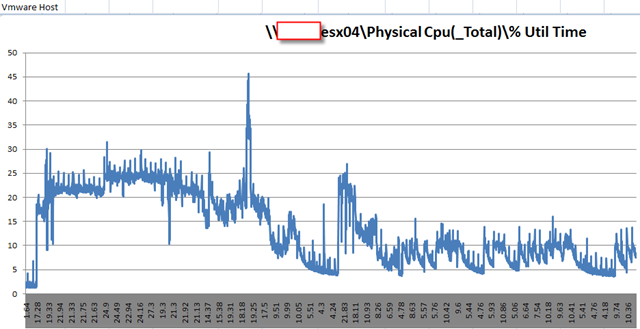 Notice there are time vCPU0 was very low utilized..
My best guess is this is reserved core for OS. Notice that physical CPU usage is actually higher than single thread. I did some other tests with 8 cores. I setup vm with 8 cores and lots of helpers and distributions. As you can see, the running time is shorted again. But as what I said, due to poor coding, it’s not always effective as I expected. None of cores are running more than 40%. Still, it’s coding issue. The problem of this poor coding is it doesn’t use all cores in all the time. There are lots of time only few cores are used. There 3 cores running in this shape. It’s pretty pity resources are wasted. This is not bad usage. As you can see, the maximum usage has reached to 40%. but for the rest period, the usage dropped due to few cores were used. 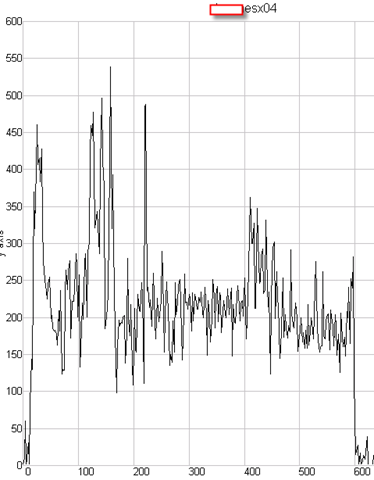 There are lots of up and down and spikes due to distribution by ESX layer. 1. Dynamics AX batch server can run on VM. As matter of fact, it works pretty good with current MRP helpers patch. You can load up with other VMs to utilize more CPU resources. 2. 8 cores does help a lot in this case. Since all cores were only used less than 40%! Thank God we are using virtualization layer and all virtual cpu jobs are distributed to physical CPUs.